Having had a fortnight off, then a week catching up, there is quite a bit of content in this posting! 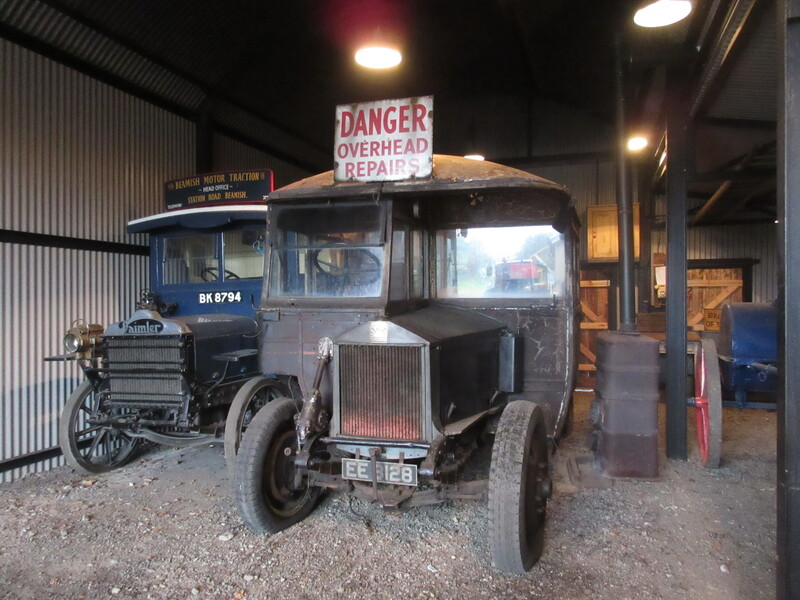 It is also worth mentioning the forthcoming Power from the Past weekend on October 1/2 when there will be an opportunity to see several of the transport exhibits in action (including Samson). 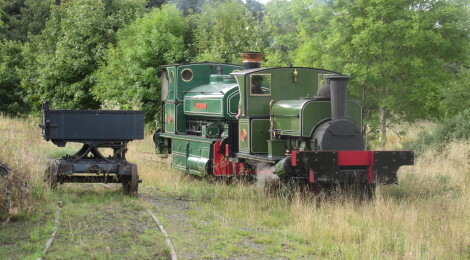 This weekend we are hosting members from the Ffestiniog & Welsh Highland Railway and will have the Peckett 1370 in operation at Rowley, Bon Accord and No.18 in steam in the Colliery, Samson running on the narrow gauge and the steam roller out and about. After October’s event the focus will be on readiness for October half-term, the Halloween evenings then Christmas and the increased daily operation across the festive season. If you want to see Samson ins team, this weekend and the following are the main opportunities to do so before next year as the loco will be winterised at some point in the late autumn. We experienced an embarrassing number of cancelled days operation at Rowley over the summer, with Vulcan failing on a large number of days. This did provoke negative feedback and we can only apologise to those who were disappointed by the days when the trains were not running at Rowley. To safeguard against this, we have re-drafted our plan for 2017 and this will include Bon Accord and 1370 in order to safeguard the activity at Rowley. 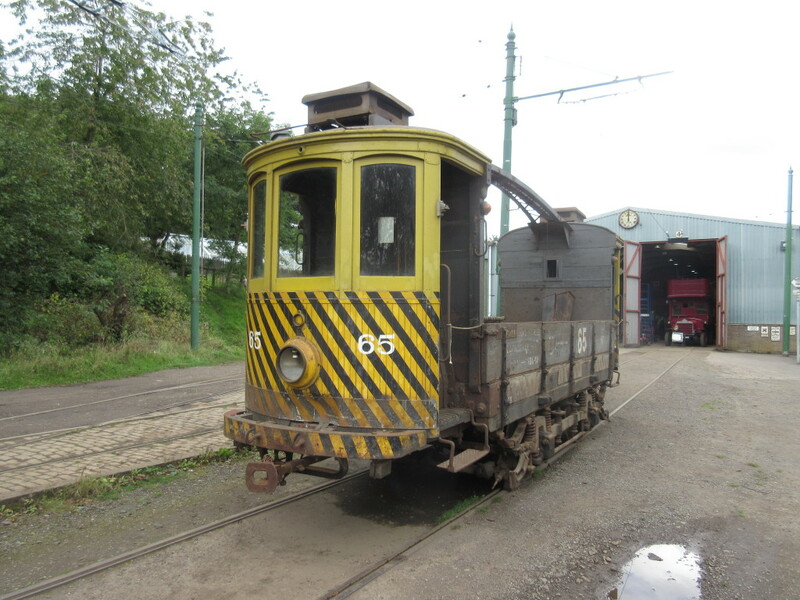 No.18 will operate in the Colliery, with the Coffee Pot (No.1) joining it from next Easter following re-tubing and some other works. 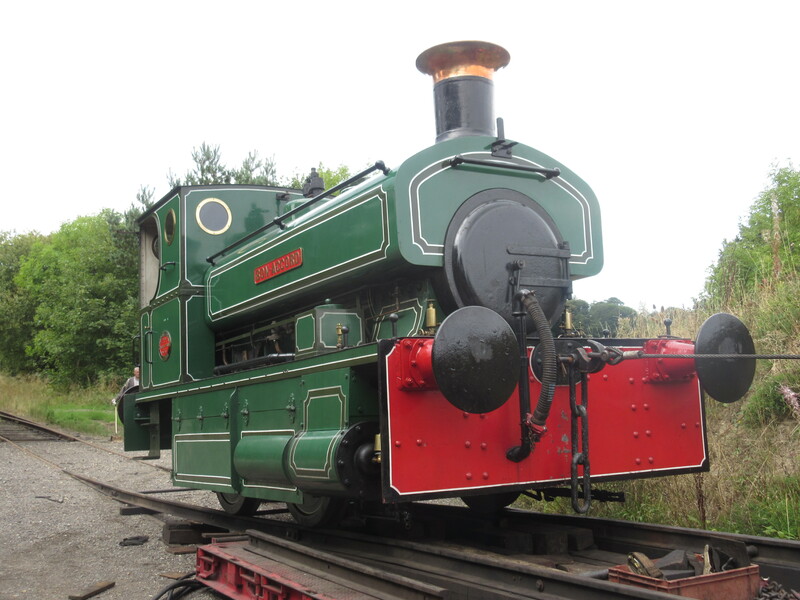 Samson will also be in operation on key days, with the steam roller running at least two days per week as well. 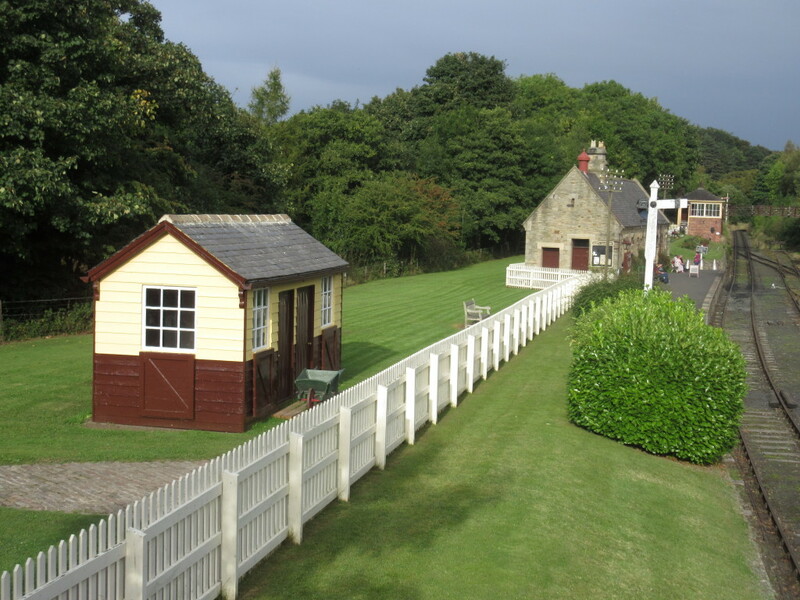 The Waggonway and the Fairground (steam centre engine) will operate daily as they have done this year, from April, plus we have the February half term operations that will be advertised in due course too. 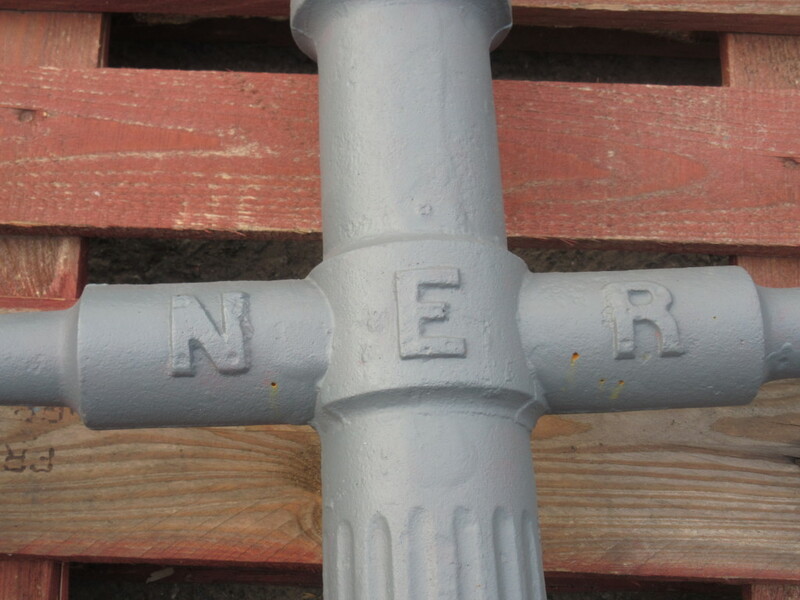 Below: The team are busy on a number of fronts, including manufacturing this new gate post for the entrance to the station goods yard at Rowley. Below: Four new crossing gates are being manufactured for Rowley Station too, the existing ones being well-patched and life-expired now. 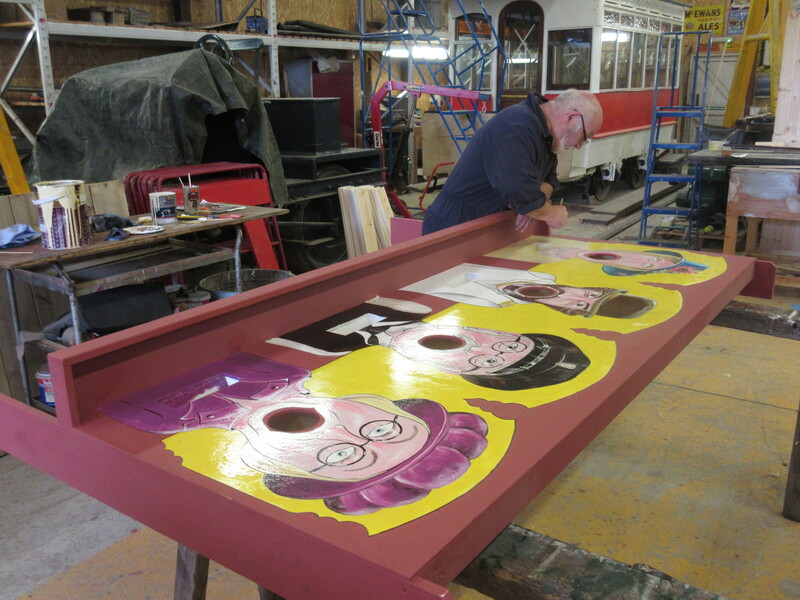 Below: One of the volunteers, Peter, has been busy constructing fairground side show games, including this ball throwing challenge. He is also drawing up a children’s theatre for manufacture in the RHEC in the coming months. 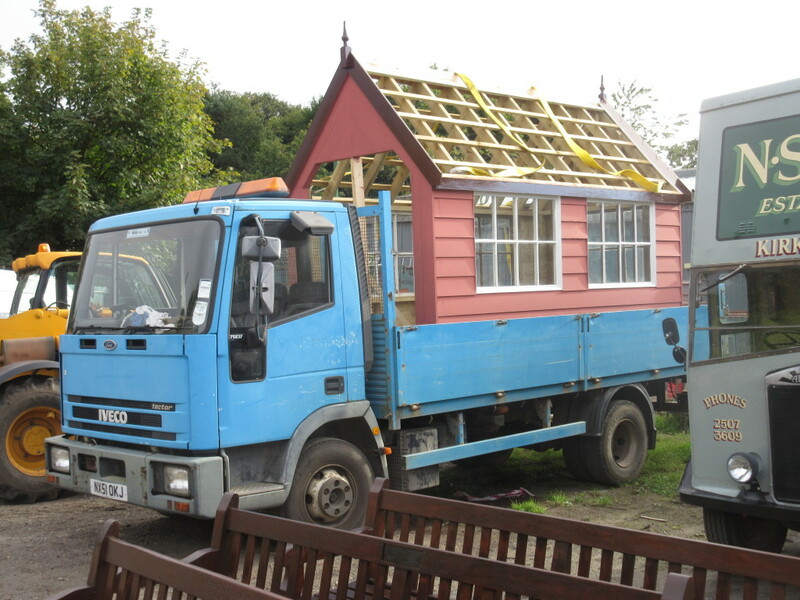 The second coach from the Waggonway train is also due in, for a comprehensive rebuild ahead of the 2017 season. 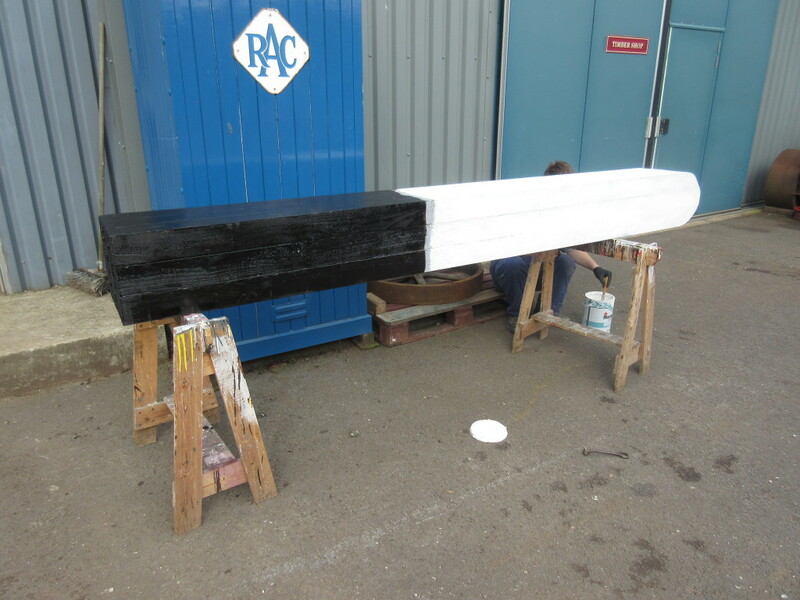 Below: David Young keeps busy, with work on the tender for Samson and progressing the overhaul of the Brightside engine – seen here with newly manufactured cylinder cladding. 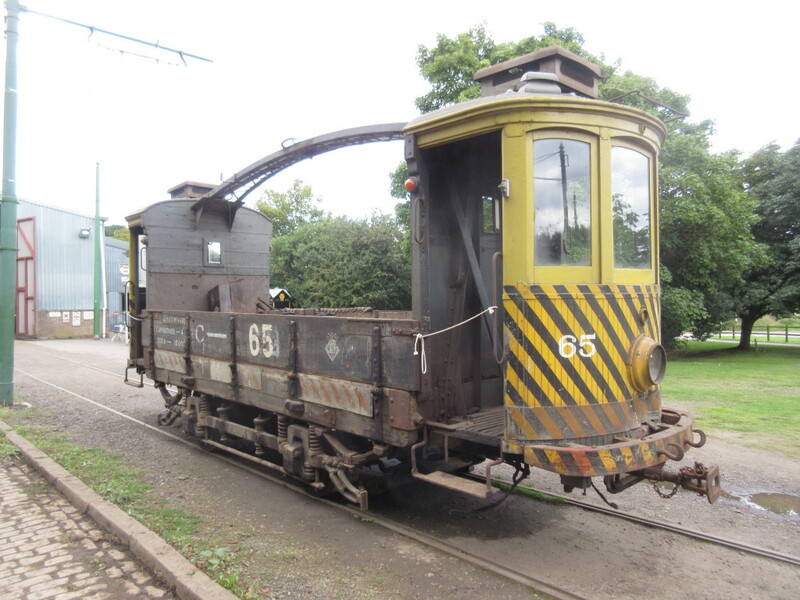 This engine will primarily power the fan used by the blacksmith, which is presently electrically powered. 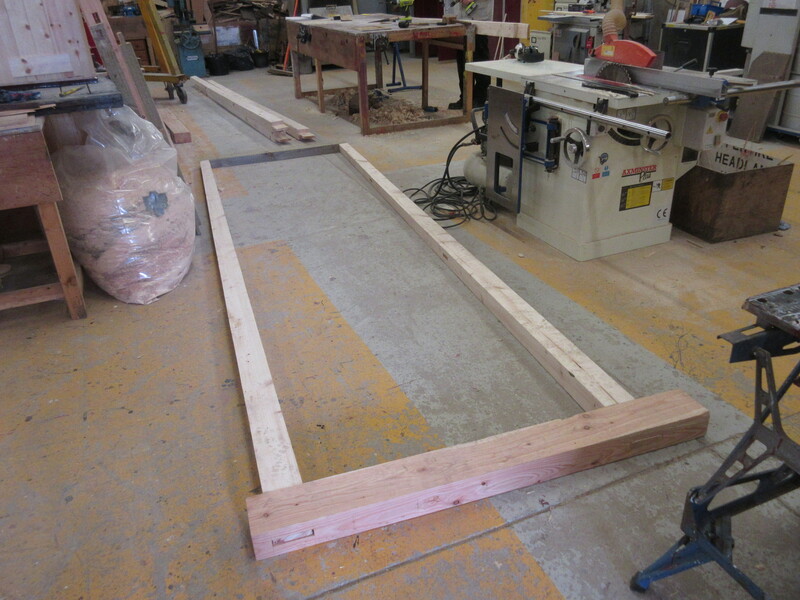 Below: The manufacture of a ‘hutch’ for Samson has been referred to before, as a means of housing and displaying the locomotive. Using materials gathered from all over the site, the work is now complete – the shed being seen here awaiting removal from the RHEC. 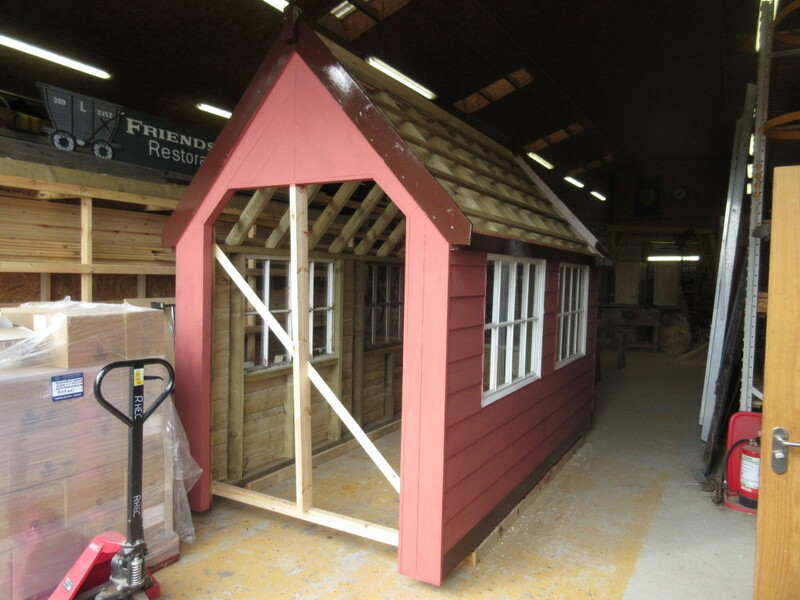 The colours may yet be changed – the pink is the old Beamish Red, a colour used extensively in the Colliery but perhaps not best suited to a very small building. 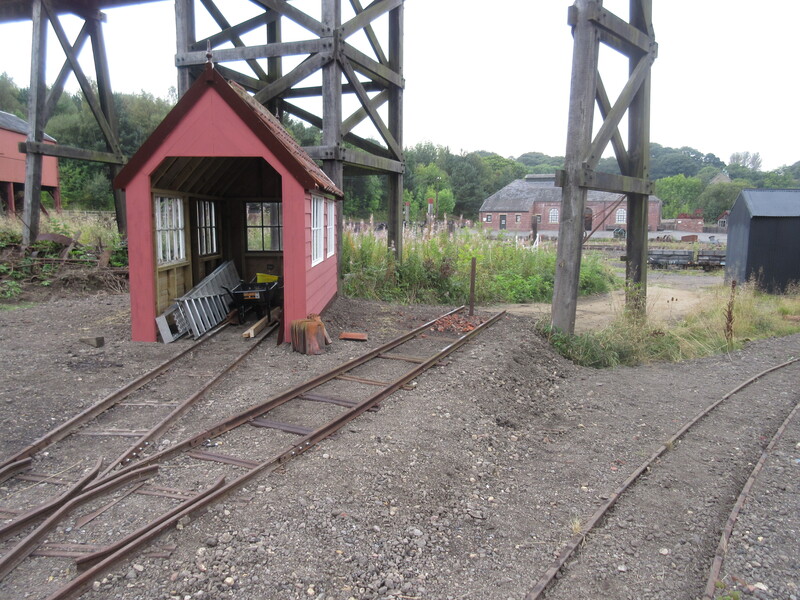 Below: The shed is seen in situ, on a new siding formed from our stocks of Jubilee track panels. The right hand road will be extended onto an ash tip in due course, somewhere to put the ash arising from railway and domestic fires and an enhancement to add further ‘blackness’ to the Colliery landscape. 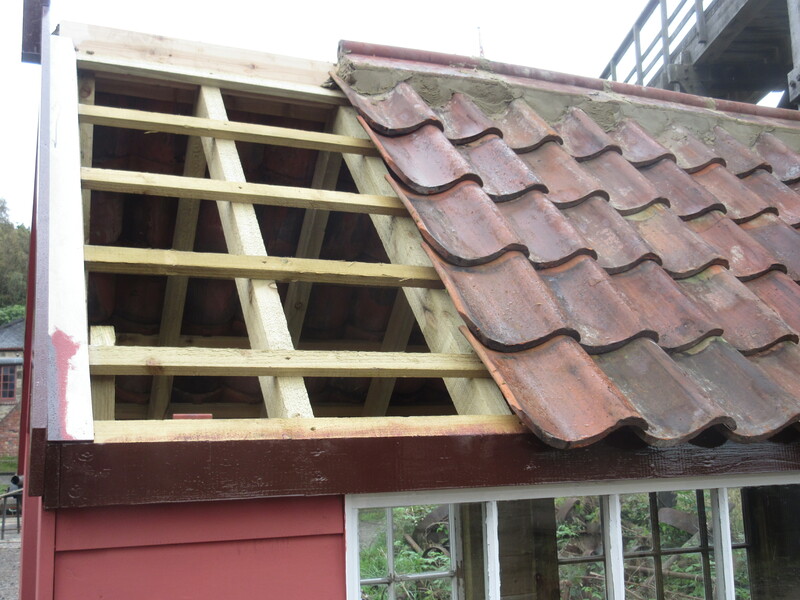 Below: To ring the changes from tin, the shed has been tiled, using some of our large stocks of this material. 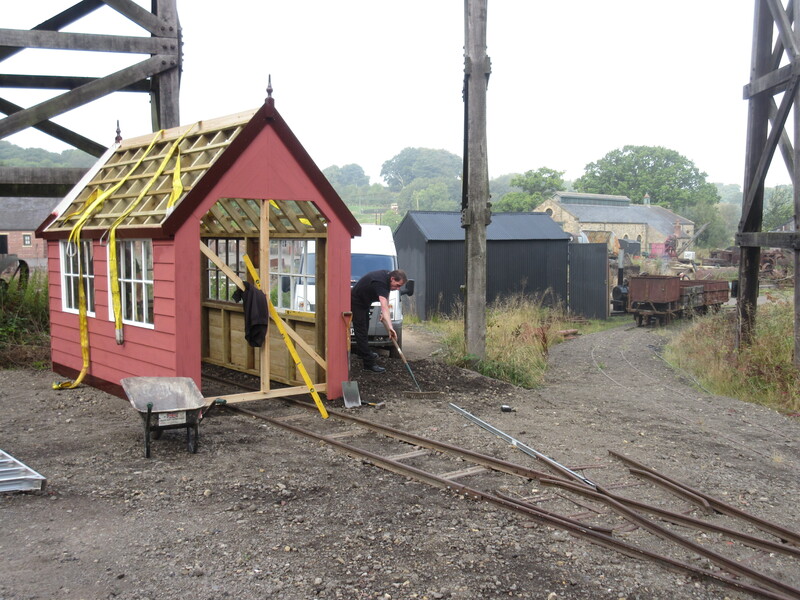 Tony and Matt B have done a terrific job of building the shed for pretty much no cost, and it is already showing a certain charm – the clearances are deliberately tight (so it can only house Samson…) – an internal buffer stop will feature! 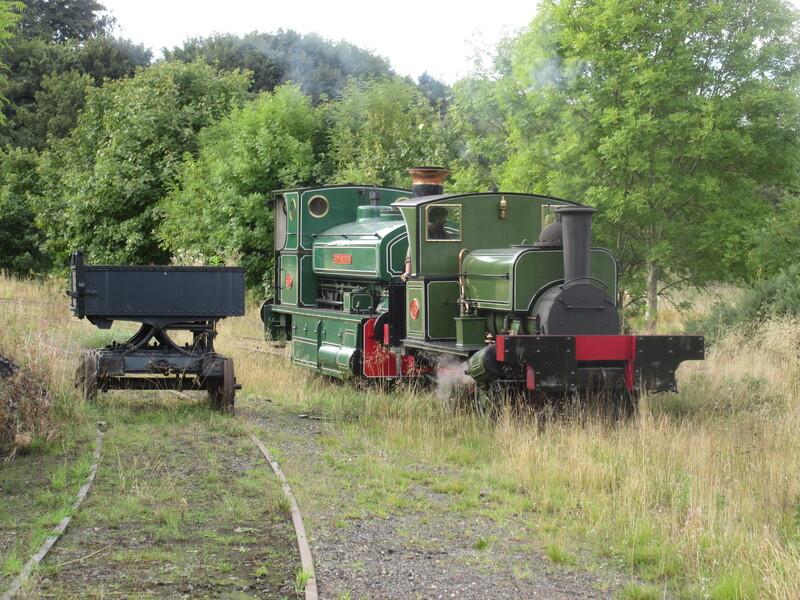 Below: Bon Accord arrived this week, having made its first operating appearance in England at Shildon last weekend. It is based in the Colliery for now, but we expect to use it at Rowley next year. 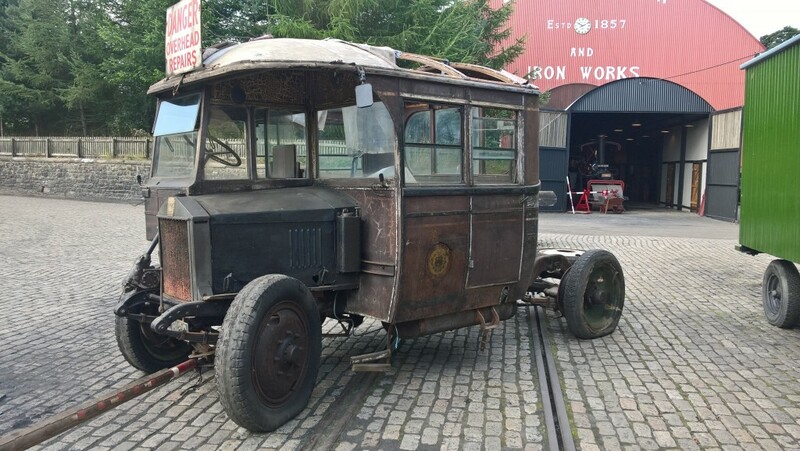 Note the skirts to hide the side-rods (it ran on the streets in Aberdeen). Also note how small No.18 really is! 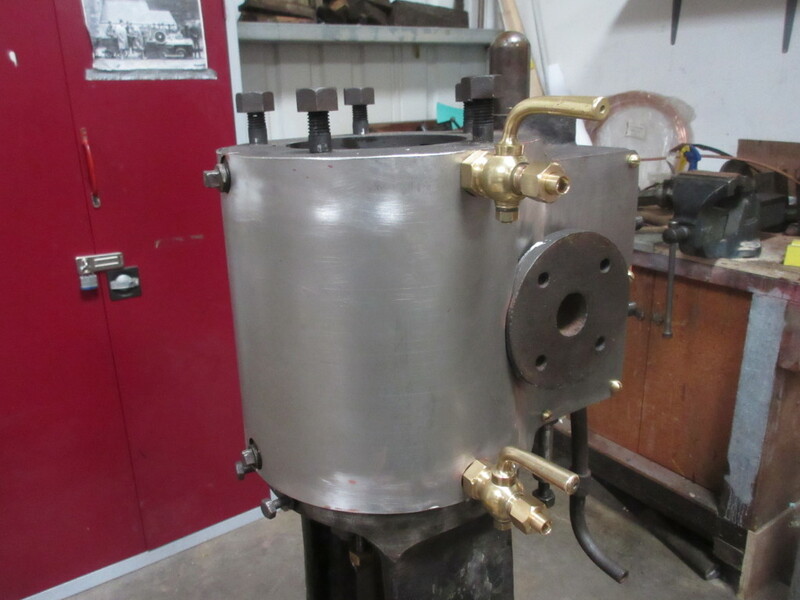 Below: Coffee Pot No.1’s boiler has been sent to Bridgnorth for re-tubing. 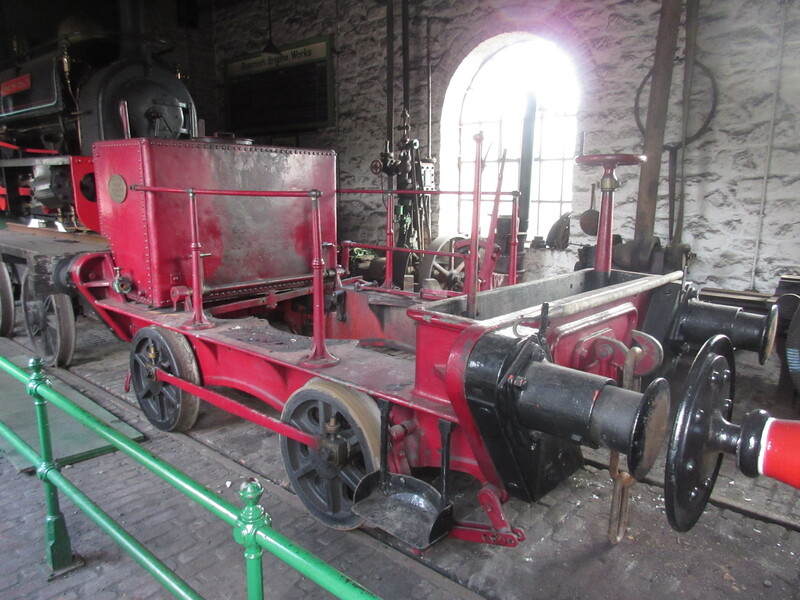 The bottom end will be steam-cleaned and inspected whilst it is away and the paintwork is likely to receive tidying up. However, way back when the blog first reported on the project, the lived-in appearance as something to be cultivated, and it has certainly attained this now! Below: The NER hut has been placed at Rowley, the roof re-fitted and steps made. It certainly looks in-keeping and will form a base for the gardens volunteers. Below: Every year as the dark evenings approach, a huge project begins to fit temporary lighting across the Museum. More permanent fittings have been placed around the perimeter paths, but the period areas have not received such attention, until now. Mike and apprentice Darren, with assistance from colleagues in the Site Support team, have carried out a mini-project to restore a number of fittings that we had on site, wire these to modern standards, then install them from Foulbridge through the Pit Village and on to the Colliery yard. The result is far better than temporary lighting festoons and adds to the overall atmosphere of these areas. 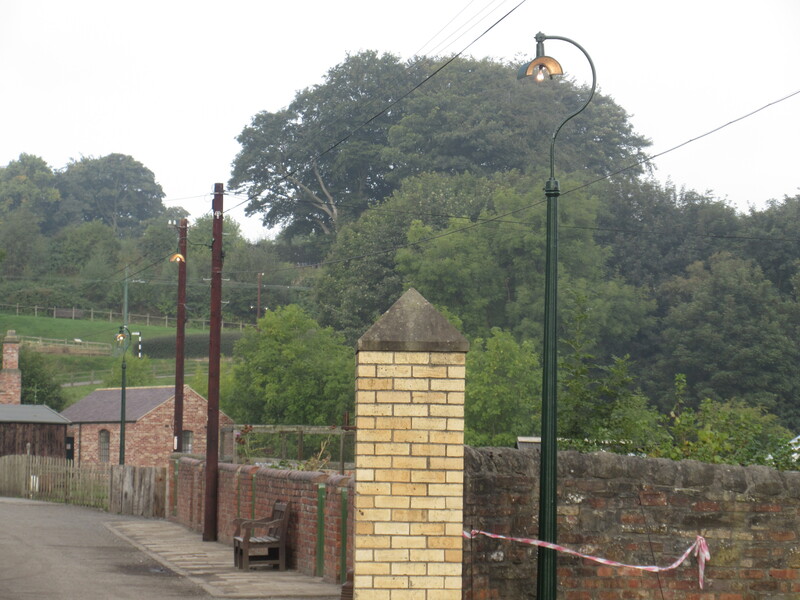 We have used most of our light fittings up, but we have lots of poles and plans to expand the project as it has been judged a success, really adding to the ambiance whilst fulfilling a necessity brought about by the winter evening opening which is a backbone of our annual operation now. 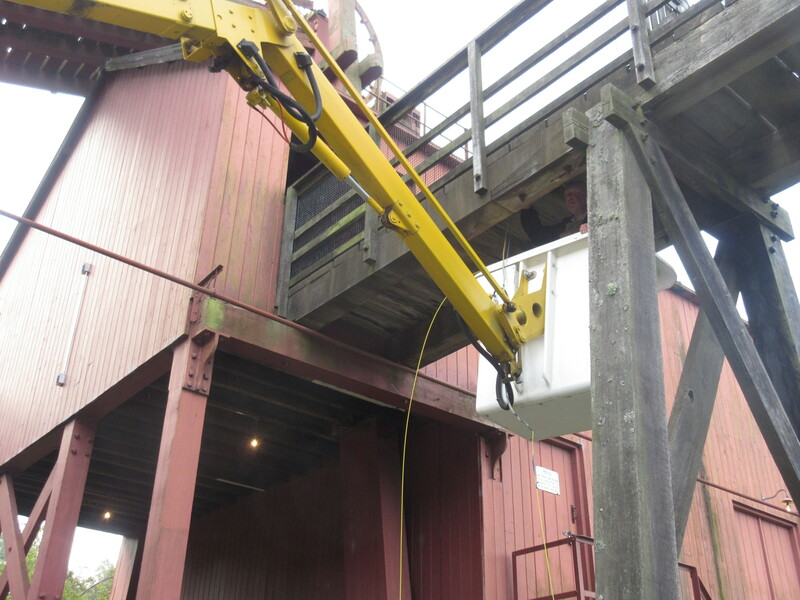 Below: New cable runs are hidden away , enabling electricity to reach parts never reached before! 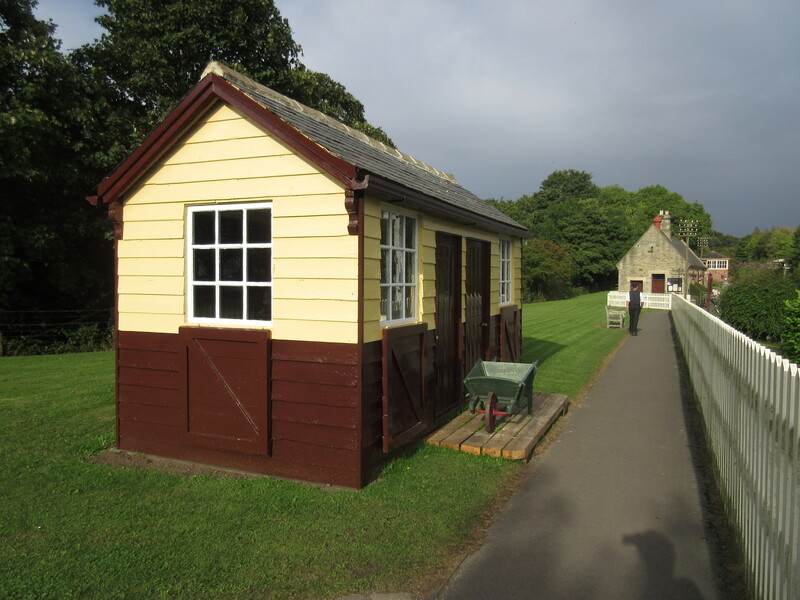 Samson’s new shed will be the beneficiary of this installation, which will include a number of exterior lights to illuminate the area around the Blacksmith’s shop and paths to Birch Wood. 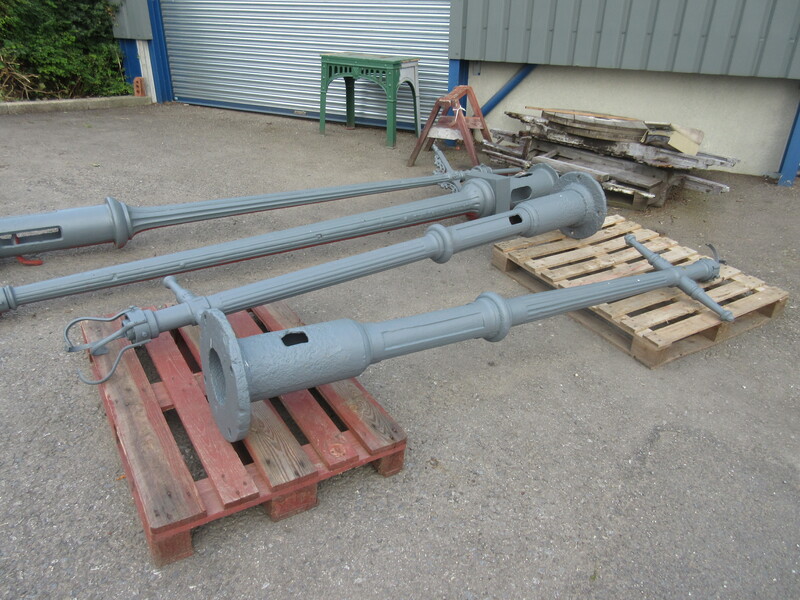 Below: More columns – these are for the locomotive servicing area at Rowley Station, for which we already have suitable tops. 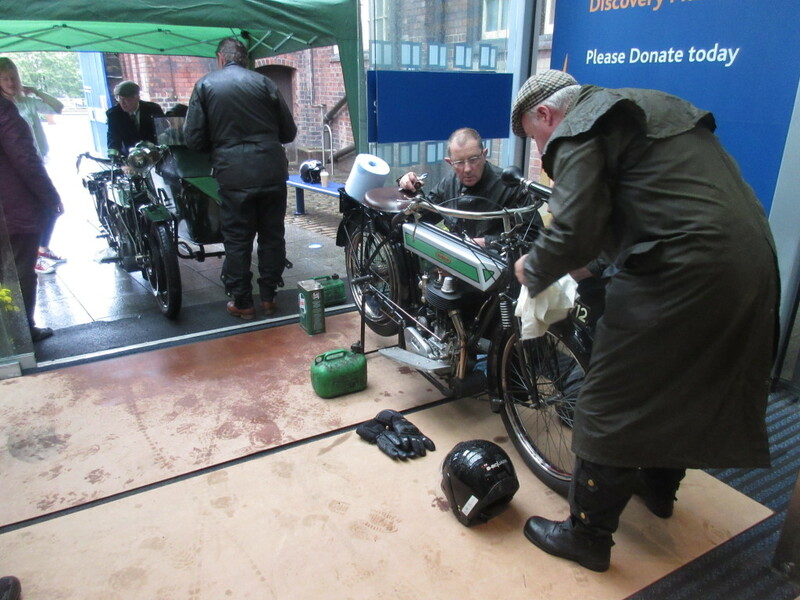 Below: The Friends of Beamish recently assisted Tyne & Wear Archive and Museum with a display they were creating on the history of the Dene Motorcycle Works in Newcastle. 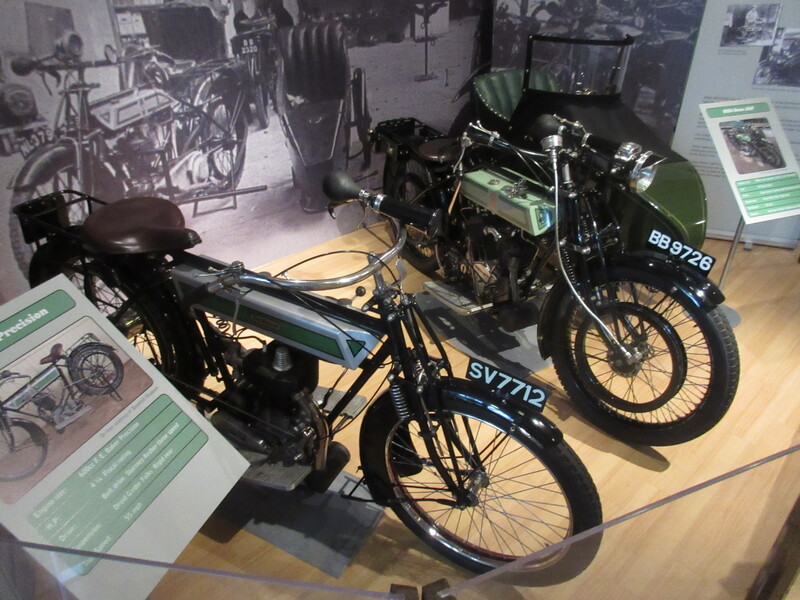 The Museum lent both of its Dene motorcycles, which were ridden over to the Discovery Museum for the three-week display. This also included ephemera and a photographic display and was, we understand, well received. The exhibition has now finished (sorry for the late news on this one!) and the exhibits will be back this week, but many connections were made and we hope that this will be a stimulus for some exciting developments in the Dene story in the months and years to come… The two machines are seen here after arrival, being dried and de-fuelled pending insertion into the display (lower photo). What a superb bulletin! Informative and whets the appetite. Despite ‘bus substitution’ on the East Coast Main Line ‘twixt Edinburgh & Newcadtle, I’ll peresevere and be at ‘Power from the Past’. 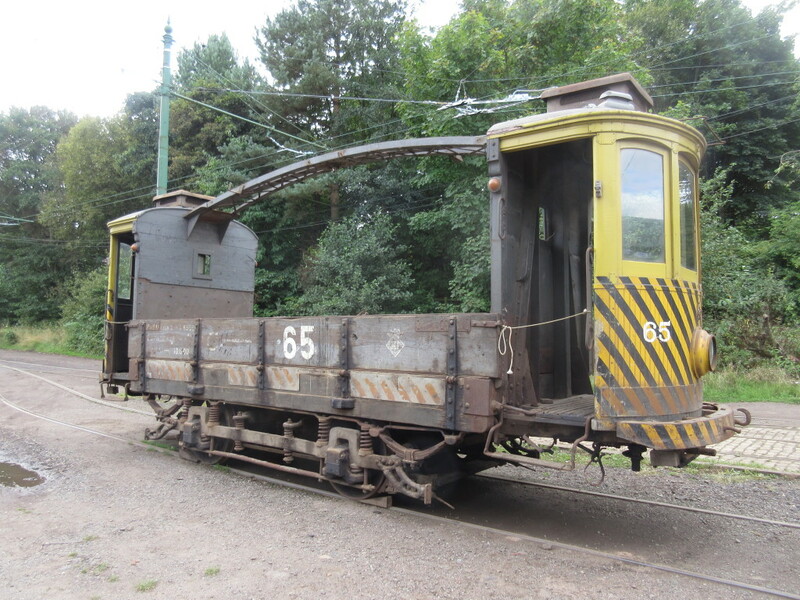 Besides, what’s a visit to Beamish without sampling ales, watching trams and pointing ‘equipment’ at steam locomotives? ‘Power from the Past is described as 1st & 2nd October in the latest (week 34) bulletin, but 8th & 9th October in the Museum’s Events page. I suspect the latter, but would be grateful of confirmation. 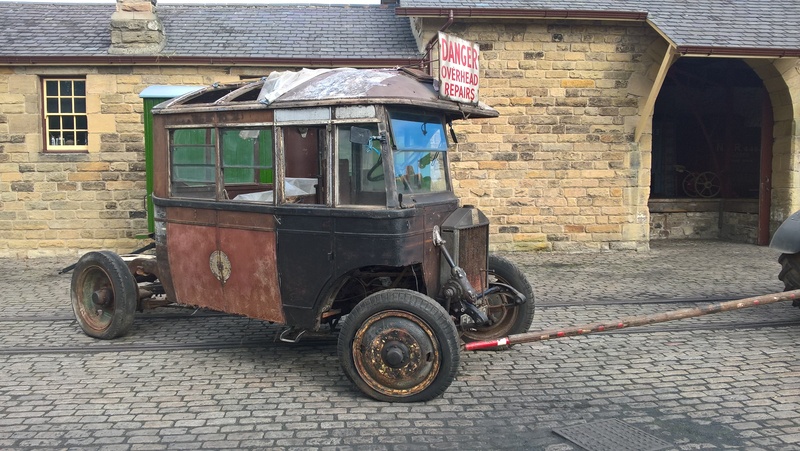 I’ve a long journey to/from Beamish!